Dr. Thomas treats injuries related to the upper extremities that often require specialized treatment beyond traditional therapy. Call us or Request An Appointment Today To Get Started! Top-Rated Premiere Physical Therapy and Rehabilitation Center located in Baltimore, MD! Fact: most of us don’t lift a finger to keep our hands looking and feeling youthful, despite the fact that they are one of the first parts of us to show signs of aging! This is especially noteworthy since the same wear and tear that affects our hands’ appearance can also impact the chances of us developing a hand-based injury, as well as chronic pain. In these cases, hand therapy can play an important role in helping us use our hands efficiently throughout our daily life. It can also help us recover from an injury such as tendonitis of the elbow or Carpal Tunnel Syndrome. 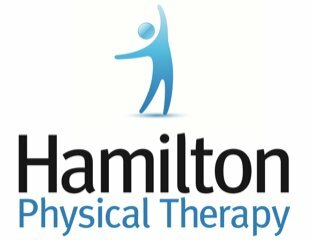 At Hamilton Physical Therapy, we have a qualified hand therapist who is ready and able to help, no matter the source of the aches in your hands. Call 410-444-2770 or book an appointment online to schedule a visit and begin your journey to a healthier you! What is So Special About a Hand Therapist? A certified hand therapist is an occupational or physical therapist with a specialized background in evaluating and treating conditions that affect the hands, including osteoarthritis. A specialized therapist with this background can assess your needs in-depth, explain your care options, and help you put together a strategy for dealing with your pain. What Conditions can be Treated with Hand Therapy? Hand injuries range in scope - they can be mild or they can be severe. Some injuries are common and traumatic, such as lacerations, broken bones, or crush-related injuries, which result from tripping, falling, or work-related accidents. Hand therapists also treat conservative-management injuries, such as arthritis or tendonitis. In these cases, most injuries can be attributed to overuse; examples of this include tennis elbow, golfer's elbow, de Quervain's, carpal tunnel, and "trigger fingers." Who Can Benefit from Hand Therapy? Hand therapy can be beneficial to all age groups who are looking to both prevent and manage pain in the hands. That said, children are less likely to need this type of treatment - they are fast healers and usually have not yet built up cumulative trauma in their hands’ joints, ligaments, and tendons. What are the Possible Hand Therapy Treatments? Treatment plans differ depending on the condition and each patient’s needs, which is why a thorough initial evaluation is crucial for patients dealing with hand pain. However, the average treatment will focus on reducing pain and inflammation first, which is often accomplished with rest, ice therapy, electrical stimulation, and other care tools. A hand therapist may also help you select a brace or splint designed to minimize movement in the hands, further giving them a chance to rest and heal. At Hamilton Physical Therapy, our specialized hand therapist can perform a physical exam and prescribe a personalized care plan designed to target the source of the pain in your hands. Call us at 410-444-2770 or book an appointment online to start your care journey today!